Just like an online bank account, you can check your total super balance and view your latest contributions and transactions. Stop paying fees for multiple funds. Search and combine all super funds into one. Review your coverage and insurance options. Find everything you need to take Rest with you to your new job. The AIA Vitality program is now available in the Rest App. Check your fitness on the go, monitor your progress and get rewarded for staying active. *Eligibility criteria applies. See Terms and Conditions for further information. Check out more member rewards and benefits, including competitions, special offers, shopping discounts and more. Where Can I get the Rest app? Our app is available from the App Store and Google Play. Just search for “Rest app”. You can also request a download link to your phone via SMS. Yes. The app incorporates high level security features to ensure your personal information cannot be accessed from other sources. 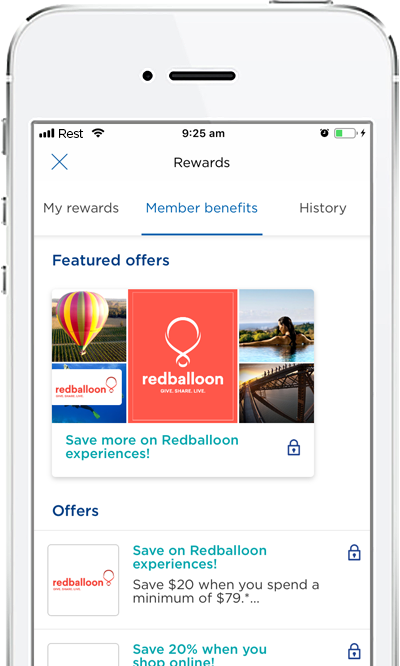 Do I need to register for MemberAccess to use the App? No, you can access the app as long as you're a member. If you're not a member, you can easily join Rest. How do I register for the app and what details will I need? After downloading the app, you'll be prompted with three questions – First name, DOB and Postcode. Alternatively if you're registered with MemberAccess, you can use your login details to set up your account. On the pin screen, click on “forgot password”, by pressing ok, you will be able to re-register your app access. Close your app completely and re-open it again. If it still doesn’t work, please contact us. Apple and the Apple logo are trademarks of Apple Inc., registered in the U.S. and other countries. App Store is a service mark of Apple Inc., registered in the U.S. and other countries. Goggle Play and the Google Play logo are trademarks of Goggle LLC.